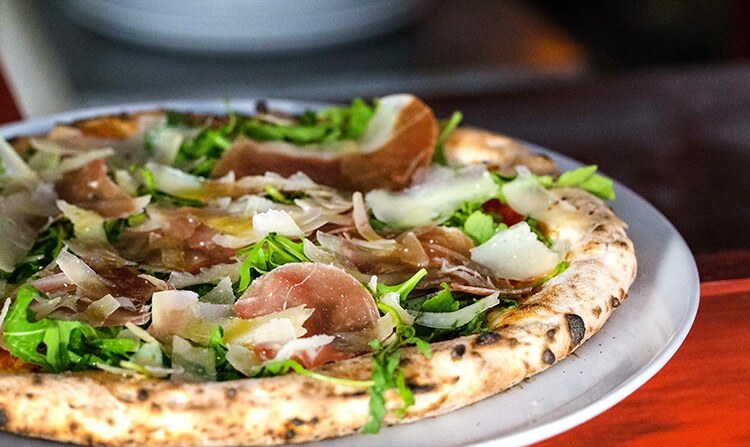 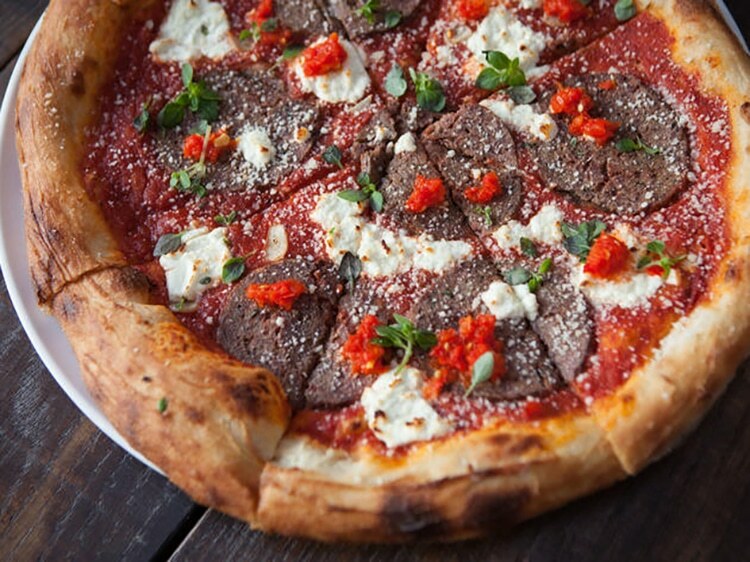 We’re well known as a city of excess, so if you’re after pizza Brighton has got you more than covered. 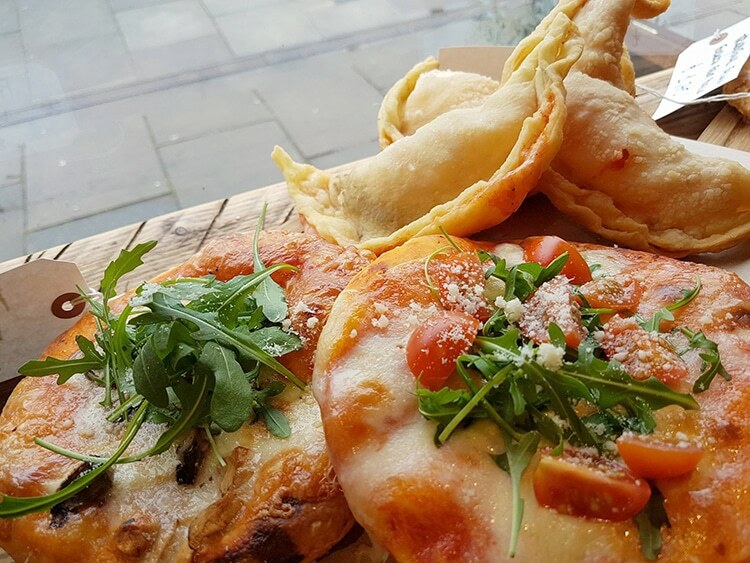 But forget the high street super chains with their weird salad bar, Americanised proportions and ingredients. 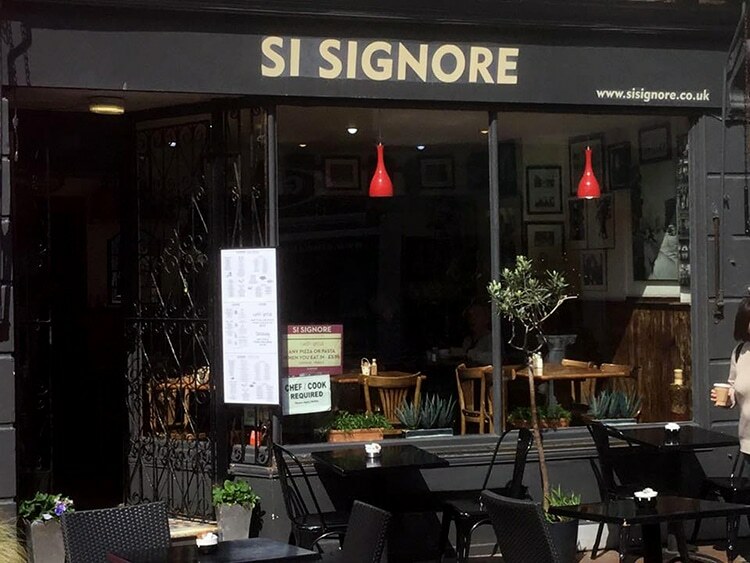 Our Italian residents, true to their famed hospitality, are bringing the passion of their regions to delight and regale us, and in true Brightonian entrepreneurial fashion a few others have innovated. 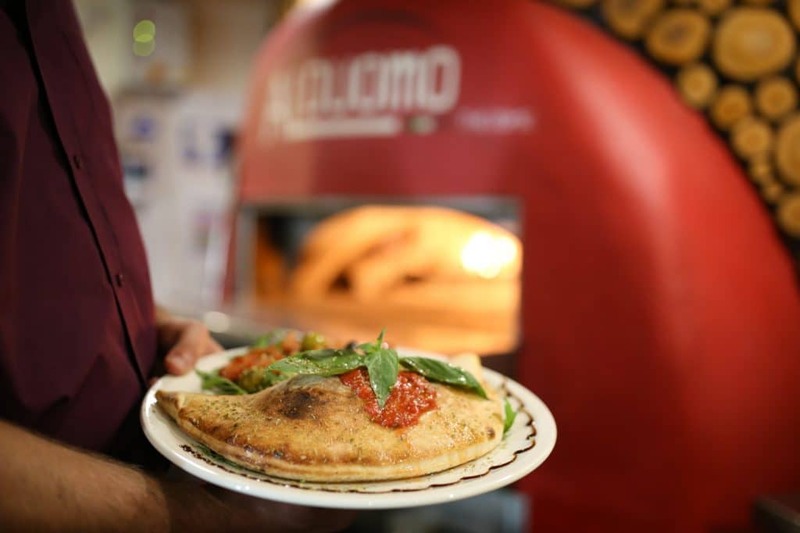 Serving you a slice of Naples on Brighton’s West Street, NuPosto Pizza Brighton brings you the real deal, genuine Italian pizza with all the smells of authentic Italy. 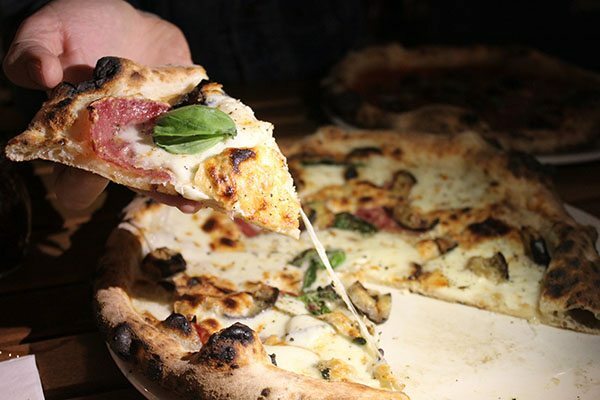 The Neapolitan base is proved for 24 hours then cooked in 60 seconds to seal in flavour and deliver a perfect chewy base with creamy mozzarella which is delivered twice weekly from Italy. 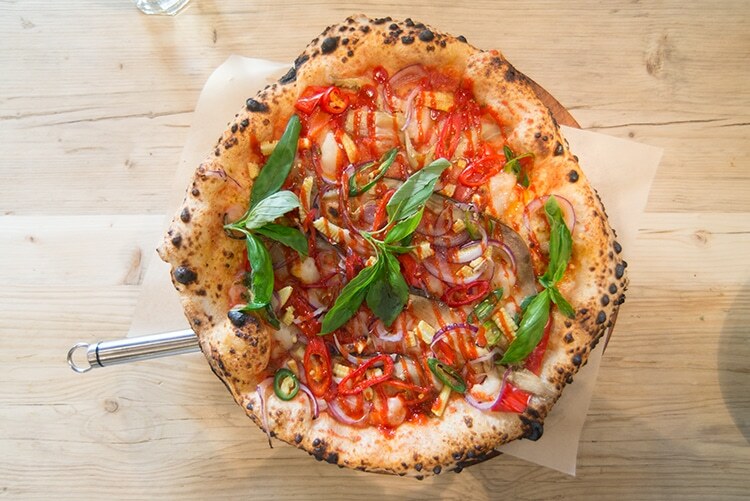 Located on the seafront facing the West Pier, this pizzeria offers spectacular views both inside and out. 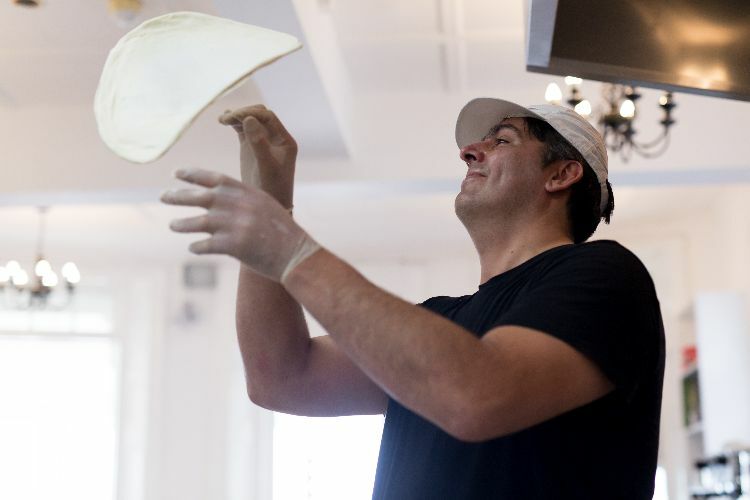 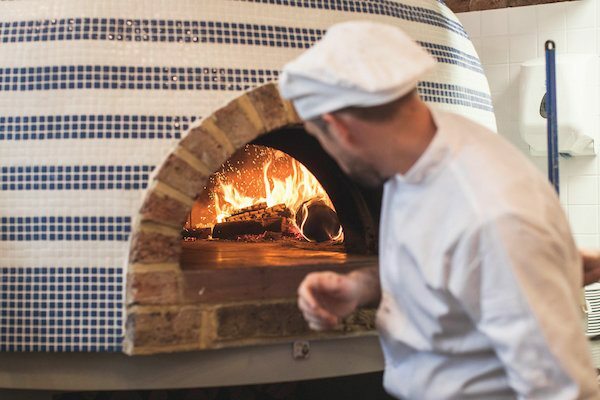 With their open plan kitchen you will see the dough get flipped in the air as your pizza is handmade and cooked to perfection in an authentic wood fired oven. 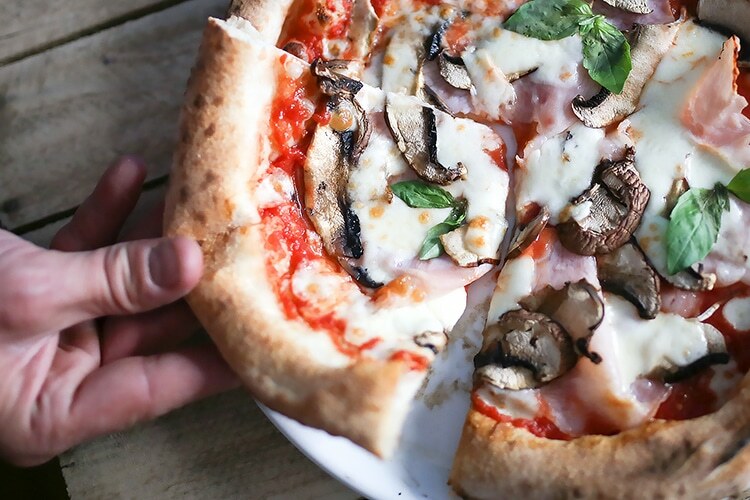 West Pier Pizzeria serve up Romana style pizzas, which are thin and crispy leaving plenty of room for delicious toppings, and while you’re there why not enjoy an ice cold Peroni or glass of Prosecco, they have both on tap. 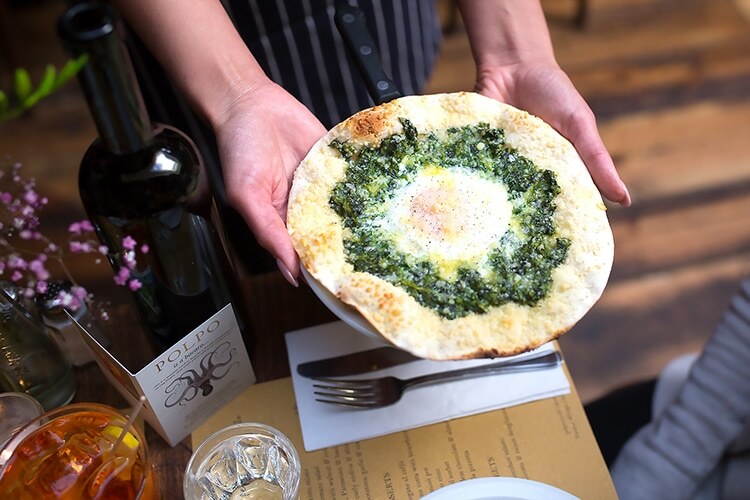 Opening in 1979, Al Duomo is the longest serving Italian ristorante in Brighton, and possibly the first in the UK to offer wood fired pizza. 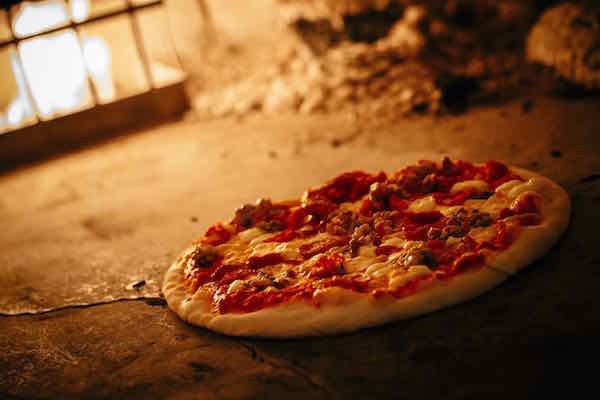 Their dough is proved for three days to make an extra light and fluffy texture, tomatoes and flour are imported from the best suppliers in Italy, but fresh ingredients are sourced from Sussex. 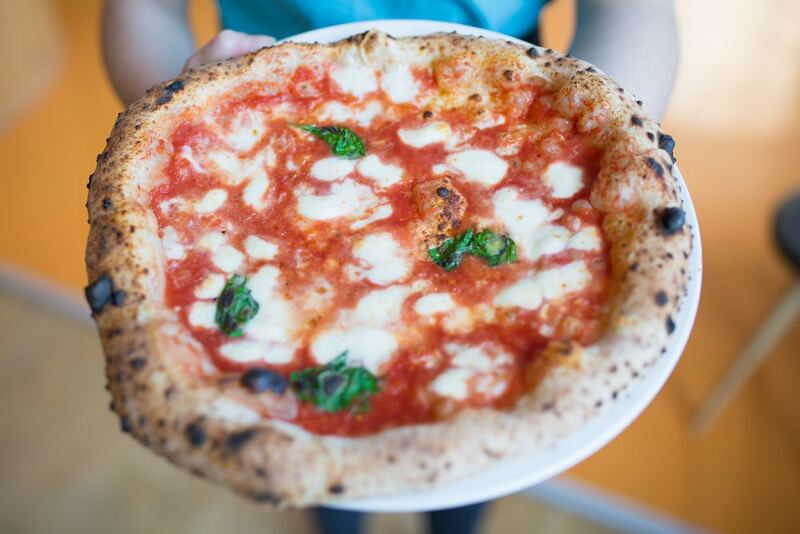 An exceptional serving and ‘pizza Brighton’ history! 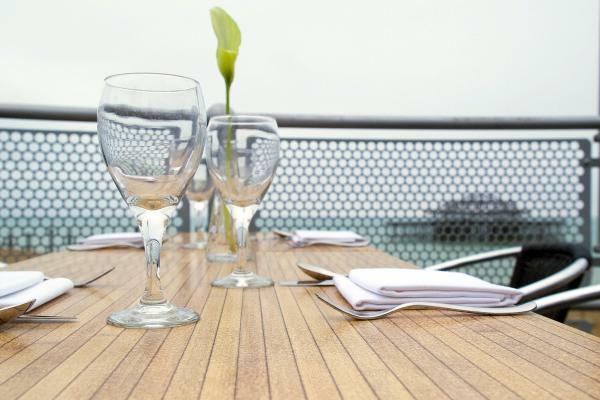 Jamie Oliver’s restaurant is located on Black Lion Street, a stones throw from the seafront, nestled within The Lanes. 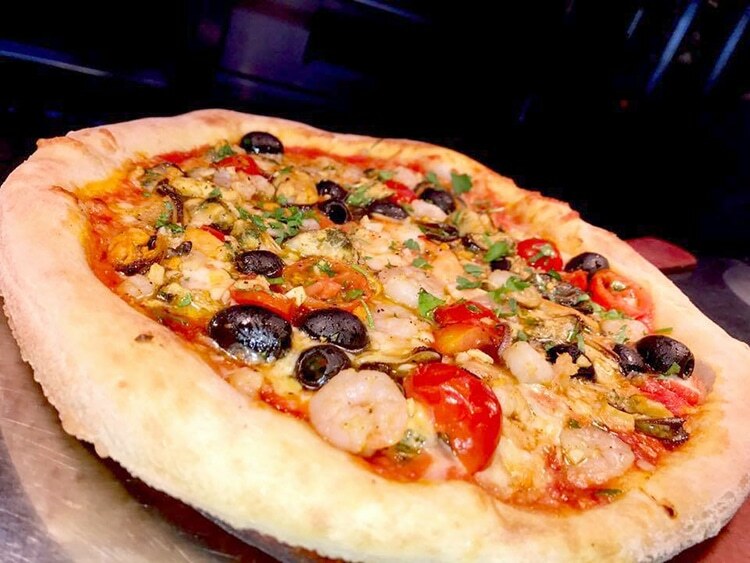 The restaurant offers a good although not extensive list of classic pizzas, all made to Jamie’s signature standard or quality ingredients and traditional methods. 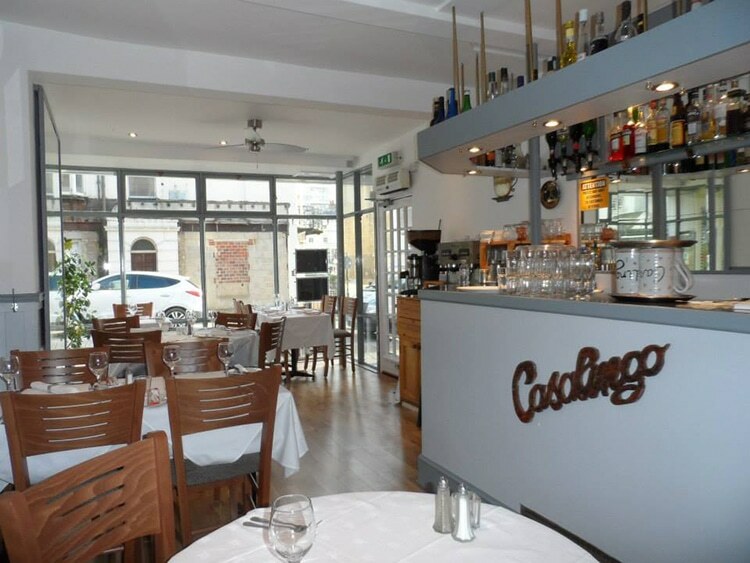 Situated very central opposite the Pavilion Gardens, the Dome, the Corn exchange and the Theatre Royal. 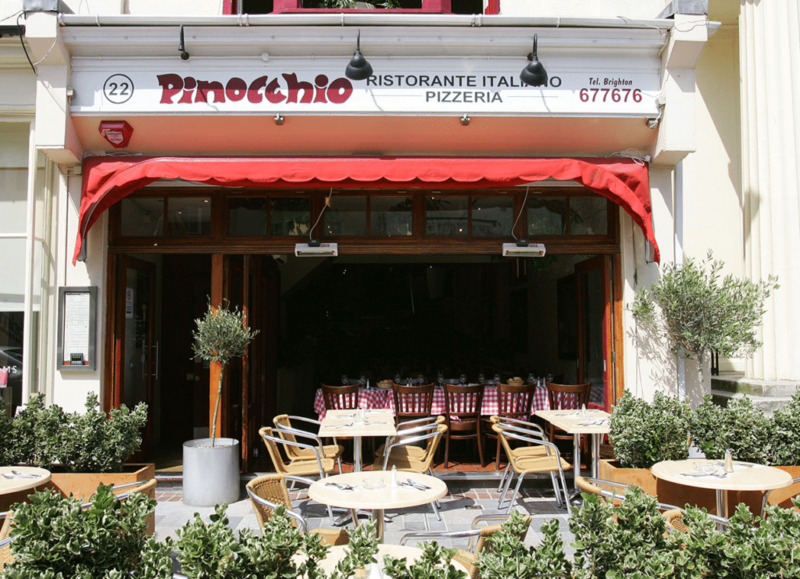 Pinocchio’s is an ideal Italian restaurant to pop into pre or post theatre, and it is one of those restaurants that always seems busy. 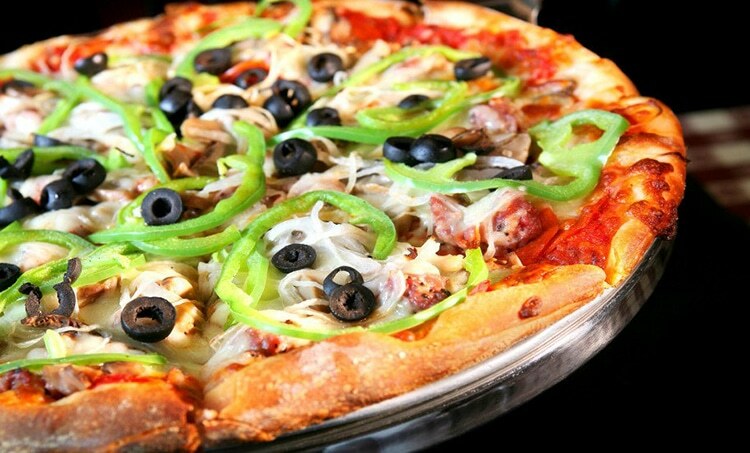 Part of a small group of Italian restaurants, namely Donatello’s and Fat Leo’s. 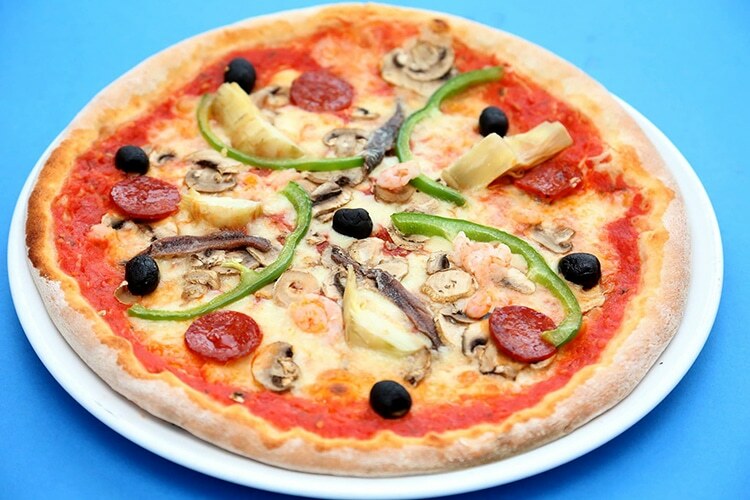 Generous portion sizes and great for groups, young & old.